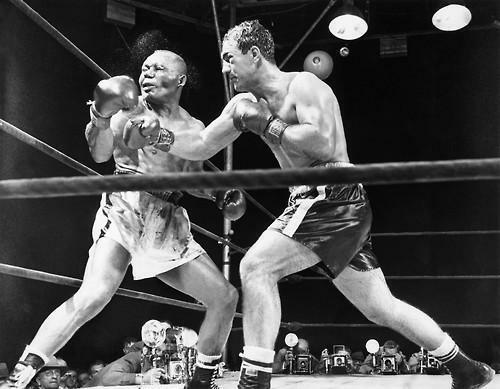 Rocky Marciano fights Jersey Joe Walcott in 1952. Rocky Marciano is known around the world as the greatest heavyweight champion of all time. But what’s not as well known about the boxer is his strong connections to New England. Rocky Marciano, born Rocco Marchegiano, grew up in Brockton, Massachusetts. His first professional fight was in Holyoke, MA. And most of his professional fights throughout his career were fought in Providence, Rhode Island. Mike Stanton spoke with John Dankosky on NEXT (you can listen to the audio of the interview here) to discuss Marciano's ties to New England. He's the author of the new book, Unbeaten: Rocky Marciano’s Fight for Perfection in a Crooked World. These highlights have been edited for length and clarity. John Dankosky: What was Rocky's childhood in Brockton like? Mike Stanton: He was the oldest son in a family of six children, so there was a lot of responsibility ascribed to him. He loved sports. He had a fairly idyllic childhood. He was a Depression [Era] child. He was born in the 1920s, came of age in the 1930s. There was a lot of anti-Italian prejudice in the 1920s in America and in Massachusetts. This was the age of Sacco and Vanzetti, who were arrested on the Brockton trolley near Rocky's house. There were immigration bills passed in Congress to shut the doors to Italian immigrants who were branded as a race of pickpockets; who should all be fingerprinted and rounded up. So he came of age in that environment. But in the confines of Brockton, there was a very vibrant Italian community that he came of age in. His grandfather was a leader in the community, he would grow grapes and have raucous drinking and eating parties at his house. The kids would hang out together, they would play sports, he played baseball and whatever sport was in season, [he] was outdoors all the time. And kids would get into fistfights back then over disagreements, but then they would blow over like a summer storm. How did he become a boxer? Boxing--and this is what really drew me to this story--is really part of the fabric of America in the early to mid-1900s. Kids would box in their backyards. Every little city would have its fight club and fight night and guys that worked in factories would fight and their families and friends would go see them fight, and a lot of them weren't dreaming of glory, they were just trying to get an extra paycheck and do something after hours. He was a strong kid, but he wasn't particularly motivated in school. He dropped out of high school. His first love was baseball. He could slug the ball a mile and he had a tryout with the Chicago Cubs and he washed out. So boxing became his only alternative to avoiding life in the shoe factories that he dreaded after seeing what his father endured. Explain the hold that boxing had on communities around America at the time. Boxing was a place that immigrants could identify with their champions. It was a place for individuality in an increasingly impersonal age of factories and cities and industrialism. And there were all these ethnic rivalries that would be like Shakespearean plays that would play out in the ring. And you go to these smoky arenas in these small New England working-class cities. There'd be betting going on in the background, there would be all kinds of unsavory insinuations about fixed fights, especially in Providence, which was the mafia capital of New England. Tell us more about that. The mafia controlled so much of the boxing world. Did it affect matches Rocky was a part of and went on around him? Well there are different levels of it. When you get to the smaller level, these little working-class cities in New England, it was more than the mob was there. There was gambling, people would bet on anything, not just the winners and losers but what round would the knockout occur. In Providence, Raymond Patriarca was the up-and-coming mob boss of New England, and he would hang out at the back of the old Rhode Island Auditorium with the bookies and there would be action on everything. So there would be suspicion of fixed flights. How much did race play a part in Rocky's story? Race and ethnicity are really big parts because boxing is a prism into the story of immigration. It's the people who come here who are on the bottom rungs, trying to climb the ladder of success to the American dream. So what you see going back to the dawn of the 20th century when boxing is semi-legal, you've got the Jewish fighters in the tenements battling their way out, you've got the Irish fighters, the Italian fighters, then you've got the black fighters and the Latino fighters coming along. And so it's this great melting pot in the circle square. Aside from those ethnic rivalries, what I found with Rocky was there was a surprising amount of tolerance about people who were different. There was no racial animosity and he respected the black fighters he fought. Of all the stories that you combed through when you were writing this book what are some of your favorites? Well, it was really a journey of self-discovery for me. I grew up in Windsor Locks, Connecticut, a mill town on the Connecticut River. My father grew up in Ware, Massachusetts, a mill town. His father was a janitor. My father was one of the first in his family to go to college on the GI Bill and he went to college in Providence and he was there when Rocky was fighting and he went to some of his fights, and he passed away about 16 years ago. [After he passed] I went through his things and I found among them an autographed photo of Rocky Marciano. So I like to think that this book is for all these little towns and all of these little fighters who never got out. Whole Foods in West Hartford might seem like a pretty unremarkable place, but in fact, it employs one of the world’s greatest athletes. 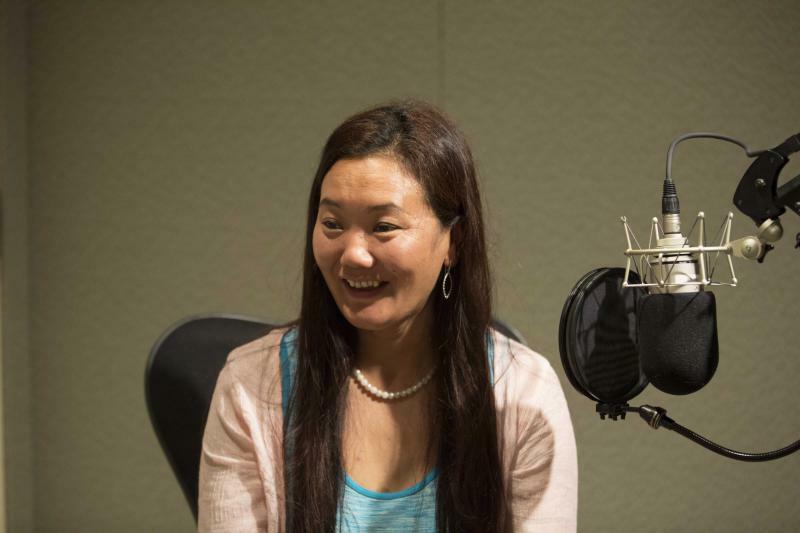 Lhakpa Sherpa is a record-setting mountaineer—the only woman to have reached the summit of Mount Everest nine times. Born and raised in Nepal, Sherpa always dreamed of climbing the world’s tallest mountain. She settled in Connecticut with her now-ex-husband, but she makes regular trips home. Next year, she’s looking to reach the peak for the tenth time. 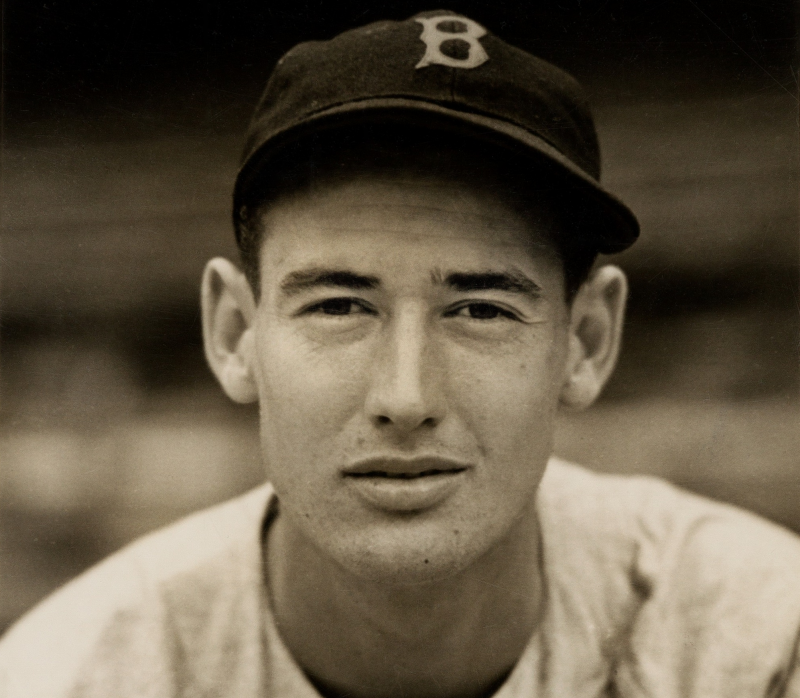 Ted Williams: The Greatest Hitter Who Ever Lived? During his remarkable career with the Boston Red Sox, Ted Williams earned many nicknames: The Kid, The Splendid Splinter, Teddy Ballgame... but the only nickname that he ever wanted was "the greatest hitter who ever lived." With more empty storefronts than full ones, the 30-year-old Berkshire Mall in Lanesborough, Massachusetts, has seen better days. But near Spencer Gifts and a now-shuttered Hollister, something rather unexpected is alive and well: baseball.